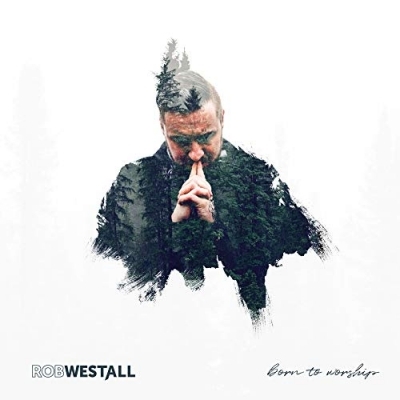 Rob Westall, a former BBC journalist who is now driven by broadcasting the Good News of the Gospel through his songs, releases his exciting debut Christian & Gospel album 'Born to Worship' on April 12th 2019. It produces an anthemic, uplifting, catchy contemporary soundtrack for a faith-focused life. The 12-track album features uplifting worship songs all written by Rob, who is director of worship at Gateway Church in Abergavenny, South Wales. The songs are regularly sung at Gateway and at worship events Rob and his band play at and organise. Last year they played the songs at two sell-out worship concerts at Gateway for local churches, at Creation Fest and a special event at Chepstow Racecourse. The album was recorded with Welsh BAFTA-nominated producer Gary White of Sync Tank Music at his state-of-the-art studio in South Wales, where Rob is based. "It’s so exciting to finally get these songs out there," said Rob. "They have all been prompted and developed out of time spent with God. I’ve simply downloaded what he’s laid on my heart and shared the songs live if directed. I hope they bless and inspire whoever listens to them and plays them and that ultimately they help draw people closer to God."